Yesterday (12 February) at the Staples Center in Los Angeles during the 59th Annual Grammy Awards, Metallica shared the stage with Lady Gaga. 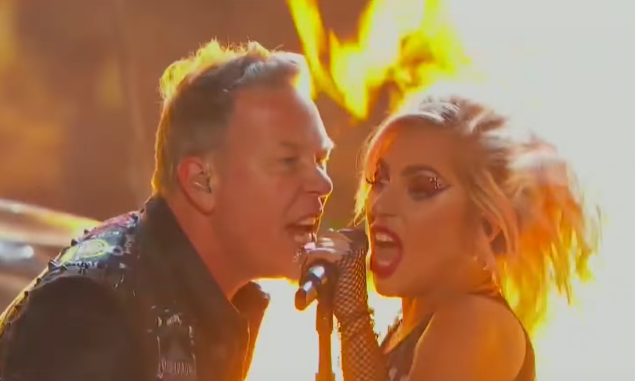 After some initial technical problems (Hetfield's microphone was not working) they have ventured into a great performance of "Moth Into Flame", a song from the last album of Metallica, "Hardwire to ... Self-Destruct". You can watch the video of the performance below.